$100,000 da Vinci Robot Verdict | What Went Wrong with this Lawsuit? $100,000 da Vinci Robot Verdict | What Went Wrong? 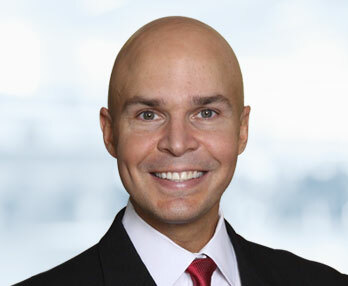 The da Vinci lawsuits involve both medical malpractice and product liability claims. Some of these are wrongful death cases, some of these claims are very minor, and there are a lot of cases in between. The Insurance Journal reports on a malpractice case in Oregon where the plaintiff received a $100,000 award from an Oregon gynecologist who she alleges improperly removed a healthy ovary. A jury verdict of $100,000? Huh? They took her ovary and they found negligence. The plaintiff asked for over a million. So, what gives? I don’t know. We just don’t know enough about the case. Was the plaintiff a 50 year-old with no further intention of having a child? Was she unsympathetic for some other reason? We just don’t know enough. This was an Oregon case. We have a malpractice case there set for trial in early 2014. The parties are permitted to do so little discovery there that I wonder if this case did not settle because there was not a clear understanding of the damages or the merits of the case. So, I think a $100,000 verdict is a huge loss for the plaintiff. It would be in Maryland. But it is so cheap to work up a case with discovery in Oregon, so maybe it is not nearly as big of a loss. One thing is for sure, most of these robotic surgery cases – both the malpractice claims and product liability cases – are worth a lot more than $100,000. Wait, I screwed up. Now I see why the case settled for a lot less. The doctor had already performed a sterilization procedure on the Plaintiff. I didn’t read that part until just now. I was going to go back and fix the post but I thought I would give you the stream of consciousness blog post here. Because we don’t have enough of that on the Internet, right? So, to be honest, our firm probably would not have taken this case because the cost of working it up probably gets too dangerously close to the value of the case. If you have a 40% contingency fee and you have to spend a lot of money on experts, there really is not enough money left over to make the case work for the Plaintiff. I don’t want to be handling cases where we can win and the client will not walk away happy. These product liability cases have now been resolved. 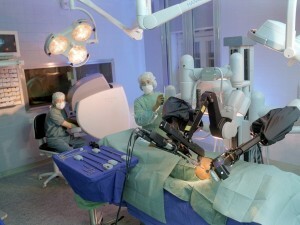 But there are still medical malpractice cases out there involving the da Vinci robot. In 2005, an article titled “Robotic-Assisted Laparoscopic Prostatectomy: What Is The Learn *9 Curve?” was published. The author concluded that their robotic-surgery results were not comparable in terms of quality to routine open-surgery results until 150 robotic procedures had been performed. That is a steep learning curve. The authors go as far as to say that most surgeons “may never overcome the learning curve” for some procedures. To put his in context, the median number of prostatectomies a urologist performs annually is seven. How does that surgeon get to 150? The take-home message is that many doctors are performing surgeries with da Vinci because the hospitals are pushing them to use this expensive product when it is compromising patient safety.